I know it sounds like a contradiction in terms — either you’ve got bare feet or you’re wearing sandals. But you can’t have both, right? It’s just a decorative lace wrapped around your toes and ankle, so it sort of looks like you’re wearing a sandle, but you’re pretty much barefoot. The second “barefoot sandal” is, well, an actual sandal, but it’s minimalist and flexible and thin enough to let your foot move naturally, as if you were barefoot, while offering just enough protection so that you don’t have to worry about what you’re stepping on (or, stepping in!). 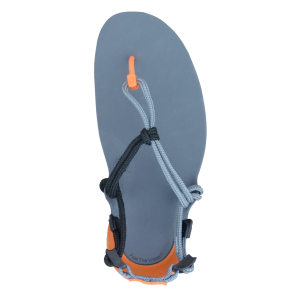 Here’s a picture of our Amuri Z-Trek sport sandal. Notice how flexible it is, which is why you get that bare feet feeling when you wear it. So you can find Xero Shoes here on our website. We have a list of stores at XeroShoes.com/stores, and of course you can look on eBay, on Amazon, eBags, and other online stores. So if you want to wear barefoot Xero Shoes — either the “barefoot” kind or the “sandal” kind, you’re not going to have a hard time finding them. What stores carry barefoot sandals? It should be pretty easy for you to find what you want. 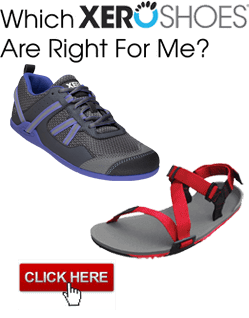 If you go www.XeroShoes.com/stores, you’ll find a list of websites and physical stores that sell both our do-it-yourself sandal-making kits as well as our ready-to-wear sandals that give you that great barefoot feeling. One of the best things about using our do-it-yourself sandal-making kits is no matter what size or shape your foot is, you can make a barefoot sandal that perfectly fits your foot. The reason is that we have templates that range in sizes from really tiny to really, really large. So you buy the template that’s closest to your foot shape. If you have a really wide foot, you buy one that just matches the width, and you don’t worry about the length because you simply trim the sole’s length to perfectly fit your foot shape. You get a shoe that’s made just for you… by you. Or you can send us a tracing of your foot and we can Custom Make a pair for you. If the size of that sandal template is too big, print the smaller one. And, of course, vice versa. For the Z-Trek and Z-Trail sandals, if you’re a man and the template seems too wide, try the “women’s” template. And if you’re a woman and the woman’s sandal template seems too narrow, try the “men’s” instead. If you’re really not sure, take a few pictures of your feet on the templates and email them to us. We’ll give you our opinion on optimal sizing. Human beings have been making barefoot-style sandals for thousands of years, and if they could do it way back then, you can do it too. You find the template size that you would like — from really, really tiny to really, really huge, depending on the size of your foot. You put your foot on the template. You trim the template with a kitchen scissors to get the shape that matches your foot. You’ll punch a hole where the webbing between your toes is (we give you the hole punch with our sandal-making kit). Then you’ll lace up the sandal in one of dozens of different ways (some are REALLY simple and some can get pretty fancy). We have 22 different lace colors that you can use. We use a 100% polyester lace, and the reason that we do that is it gives you a really soft feel but it’s really, really strong. And it’s water-resistant. It’s colorfast. It also lets you make a little knot underneath your foot that’s tiny, tiny, tiny but really, really durable. And that’s important because that’s how the sandal holds onto your foot — a little knot that goes underneath your foot (you don’t feel it) and then the part that wraps around your foot. Some people would like to use a natural lace — a leather lace or a hemp lace, for example — and I’m just going to make a couple of comments about that. Leather laces — the challenge with them is that when they get wet they stretch, and when they dry they shrink and get stiff. They also have edges that can dig into your foot, and they’re also kind of expensive and they don’t last very long. So we’re not a huge fan of leather laces. Hemp laces — that’s another option. People love the idea of hemp. It’s also very soft but it’s a natural fiber, so it doesn’t last very long. It wears out kind of quickly. It also gets dirty more quickly than, say, polyester or nylon or paracord. So, it’s something worth trying, but know that when you do that it’s not going to last quite as long. If you use a knit lace or something that you’ve made like on a Rainbow Loom, again, you’re going to be sacrificing one feature for another. There’s a balance between the look that you’re going to get and the durability. With decorative webbing, for example, it looks really great and is a whole lot of fun, just doesn’t quite as long as something like a polyester lace. Also, when you’re going to make sandals, any part of the lacing that you have that’s touching the ground will abrade. You might want to coat that with a flexible epoxy, something like Shoe Goo, which we have on our website, so that way the part that touches the ground isn’t going to be abraded or worn out quite as fast, and that way it’ll make the sandals last a whole lot longer. Hope that helps you get started. We have full instructions about how you can make barefoot sandals right here and how to make our kits (which are simpler and look more professional) here. You have two choices when you’re dealing with a barefoot sandal. One is to make your own (that’s do-it-yourself — DIY), and the other is to buy something ready-made. Well, let me assure you that it’s not that complicated. We’ve had children as young as five make their own sandals and it’s a whole lot of fun. It’s a great family project, really fun to do with the kids and really fun to do with your parent as well. So don’t be intimidated. People have been doing this for thousands of years, and if they could do it you can too. The other option of course is ready-to-wear. It couldn’t be simpler: You get them, you put them on your feet, you cinch them up and you’re ready to go. With both our DIY kits and our Cloud and Venture ready-to-wear sandals, you can bling them out. We have a bunch of different beads and charms that you can actually either lace onto the laces or just snap onto the laces so you get a really custom, fun, decorative option in just a matter of seconds. So those are your two fun choices, do-it-yourself or ready-to-wear. Pick your favorite, be willing to experiment, have fun. That’s what we’re all about here at Xero Shoes, feeling the freedom, feeling the fun, and feeling the world. One of the fun things about making your own sandals is all the ways you can decorate them. There’s lots of different jewelry that you can add, starting with something really simple like a dolphin charm or a Celtic knot pendant. You’ll see on our website, there’s a bunch of beautiful charms that you can add. You just lace them into the sandal’s strap. You can add some beads by threading them onto the lace. We have one customer who painted each of her toenails a different color, to match the multi-colored beads she threaded onto her sandal’s laces. People have also used shells, dried starfish, pearls, Swarovski crystal, pretty much anything that can hang on a lace or be threaded onto one. What else? Just have fun. Use flowers, or anything else can think of. The whole idea is that you want to express your personality with your sandal and the way you’re going to do it is by either lacing things into the lacing pattern, so this cord is going through these beads, or snapping things around the lace. The beads from Pandora bracelets – those fit perfectly around our laces — and we sell some snap-on beads here. Again, the most important part: Have fun, decorate, express yourself. We can’t wait to see see what you come up with. At Xero Shoes, we’re not offering small, ready-to-wear shoes for kids yet. It’s on our list of things to do, but as of this video taping which is June of 2016, we’re not doing that yet. The option that we offer, that thousands have done, is to take one of our do-it-yourself sandal-making kits and use that for kids. We’ve done it with toddlers. We’ve done it with infants. We’ve done it with newborns. We’ve done it with kids of almost any age and almost any size. The one thing I’ll tell you is most babies and infants don’t really need protection. They’re not putting a lot of force into the ground. They’re not going to get into a situation that’s really dangerous. So you want to leave them as natural as you can, as long as you can. 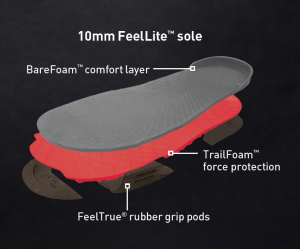 But when you want to give just the barest amount of protection so that you feel better, so that you’re confident, so that you know that they’re not going to worry about what they’re stepping on or stepping in, our 4-millimeter Connect sole is the closest thing you’re going to get to barefoot with a layer of protection. The one suggestion that I’ll make for dealing with kids, and toddlers in particular, is that any part of the lace that is underneath the sole and that comes in contact with the ground… cover that with a little bit of flexible epoxy like Shoe Goo. And just the top bit of the lace that comes above the shoe right where it goes in between their toes, any place that they could be creating friction… give it a little extra support with a little bit of epoxy or Shoe Goo. Because kids tend to add way more force than we can imagine as they’re running and jumping and playing around, and this treatment will make their shoes last a whole lot longer. Maybe it’s going to turn into a bridal shower event or a wedding party event where people make their own sandals and decorate them themselves so there’s a theme of barefoot sandals, but each person has their own unique flavor. Outfitting a wedding party is easy to do, and whether you have a DIY party or everyone gets ready to wear sandals, it’s a lot of fun. If you’re having a wedding party and you want to have Xero Shoes for everybody in the party, give us a shout, drop us an email, and we’ll help you make that happen. We want to see pictures because if we know you’re going to have a lot of fun, then we want to share that with everyone else.! Don’t be intimidated. While there are hundreds of ways you can tie and lace a pair of barefoot sandals, there are some really simple ones that are basically variations of what people have been doing for thousands of years. If you’re looking for patterns for how to make barefoot sandals, we have full instructions for a bunch of different tying styles right here. More importantly, there are so many different options about how you can tie a pair of sandals that, for some people, it seems overwhelming. For other people, they just love the creativity of it, knowing that you can do things that just wrap around your ankle gladiator-style or have an authentic huarache style similar to what the Tarahumara Indians in Mexico do, or what tribes in Africa do. There are lots and lots of options. Be willing to experiment, have fun and make up your own. We want to see photos of what you come up with! You can wear barefoot sandals for almost any activity from taking a walk to a hike, to hanging out on the beach, to chilling with friends, to even running an ultramarathon across Madagascar (I say that last one because we have a couple who did!). Now, here are some tips about wearing barefoot sandals. The basic tying method is thousands of years old — the lace comes up between your toes, just goes around your ankle in some way (there are lots of ways), and then comes back and you tie it in place. You can do this with a single lace or you can do it with multiple laces. With our sandals, we’ve developed a design with two laces that makes it really, really simple and fast to adjust the tension and get a good fit. Here something you want to think about when finding the right fit: You want to go for snug but comfortable tension of the laces around your foot. So you don’t want it too tight, you don’t want it too loose. Lena, my wife and partner in Xero Shoes, likes to say there’s a sweet spot for tension, and some people find it right away and some people need to experiment a couple of times for a few days until they find that sweet spot. But once you do, you know what it feels like and you can recreate it instantly. And in fact, the more experience you have wearing barefoot sandals, the less picky you get about the tension. The more comfortable you get using this kind of a product, the more flexibility you have. You can wear them a little looser and it’s not a problem, a little tighter and it’s not a problem, but at first you want to make sure you’re going for something comfortable. In a huarache-style tying, there’s a knot at the top of your foot. You can move that down, you can move it up… so you can get it closer to your ankle or closer to your toes. We like to keep it kind of at the two-thirds spot between your toes and your ankle. When you do that, that gives you the best combination of comfort and security. If you move the knot closer to your ankle, things might feel a little more loose across your toes. If you move it closer to your toes, it might feel a little too flexible around your ankle. As the laces come around your heel, again you want to go for snug but comfortable. You want to find the tension that holds it on comfortably but not too tight. Now, if your Achilles doesn’t have a big divot in it, if you have sort of a flat spot from your heel into your calf, you might want to raise the laces where they move through the sandal sole by wrapping the lace around itself. When you do this, you have less of an angle in the lace from your ankle to your heel, and that will work better in your case. So that should get you started. If you have any other questions, you can find answers on our website on the tying page, and feel free to drop us an email or give us a call. We’re always happy to help. To answer that, let me first talk about flip-flops, because when people think about barefoot-style sandals they’re often comparing it to their experience with flip-flops, and many people don’t like flip-flops because they don’t like things that go between their toes. Well, with a barefoot sandal like what you get with Xero Shoes, it’s a different experience because what holds it on your foot is actually the lacing that goes around your ankle. Now, that said, we’ve also got products that don’t have lacing that goes in between your toes, so it’s not a problem if you REALLY don’t want anything between your toes. Without the stiff thong that you’re used to from a flip-flop, and with the minimal lacing system, it really can feel like nothing. Except this is secure enough to hold on your foot whether you’re taking a walk or going for a run or just hanging out with your friends. Well, you want to use your feet. You want to let the soles of your feet feel things because that’s what they’re designed to do, but you don’t want to feel worried about what you step on or step in, and we give you a number of different options. 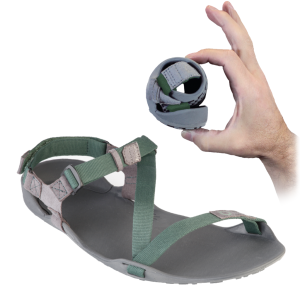 Our 4-millimeter do-it-yourself sandal sole, our 4-millimeter Connect sole, is the closest thing to a barefoot experience that you’re going to get. It’s “just enough” protection. 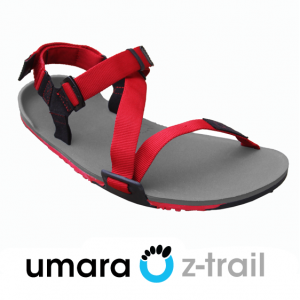 Or, you can go for the 10-millimeter sole that’s on our Umara Z-Trail sandal. 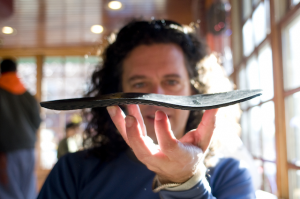 It still gives you a great natural feel because it’s really flexible, but also gives you a level of protection that you think you only get from a sandal that’s this thick and weighs a pound. Our favorite thing when people put on the Z-Trail is watching them step on some rocks… their eyes pop out of their heands because they can’t believe how comfortable it is, how they can still feel a little bit of the ground but there’s just none of that pressure point or pointy things that they’re used to from thinner sandals. 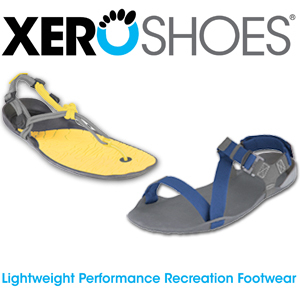 We’ve had lots and lots of people who have worn Xero Shoes at the beach. Sometimes they’re using Xeros for walking around, when they don’t want to step on debris (natural or otherwise), or the sand is too hot for bare feet. And sometimes they’re at a beach wedding and want sandals. We often get calls from the bride-to-be saying that she wants to have a party with all of her bridesmaids where everyone makes their own sandals, or they take our ready-to-wear sandals and decorate them with beads and charms and pendants so they have something really, really fun to wear and still have that open natural feeling that goes along with being at the beach. The other thing people use these for at a beach is paddleboarding or surfing… whether they’ll wear Xero Shoes on the boards or just when they’re done. We have lots of people who do both of those as well. Some people don’t like the heat that they get from the sand, and the good news with a barefoot sandal is you get some protection from that heat. Now, if you’re using one of our really thin soles, you can’t argue with physics. Heat will travel through a sole eventually. So if you’re standing on something really, really hot for a long time, it’s going to get warm — there’s no way to prevent around that. But you can also use one of our thicker soles. The sole on our Umara Z-Trail sandal that has three layers – our FeelTrue rubber layer, our TrailFoam layer, and our BareFoam layer. And because of those three layers, there’s more protection from heat, and protection from abrasion as well. Well, it is an open sandal, so there’s no way to protect you from keeping things from getting underneath your foot because it’s an open sandal. The good news though is that all you have to do to get sand out of the sandal is just either flick the sandal and it’ll come out or just stick your feet in the water. 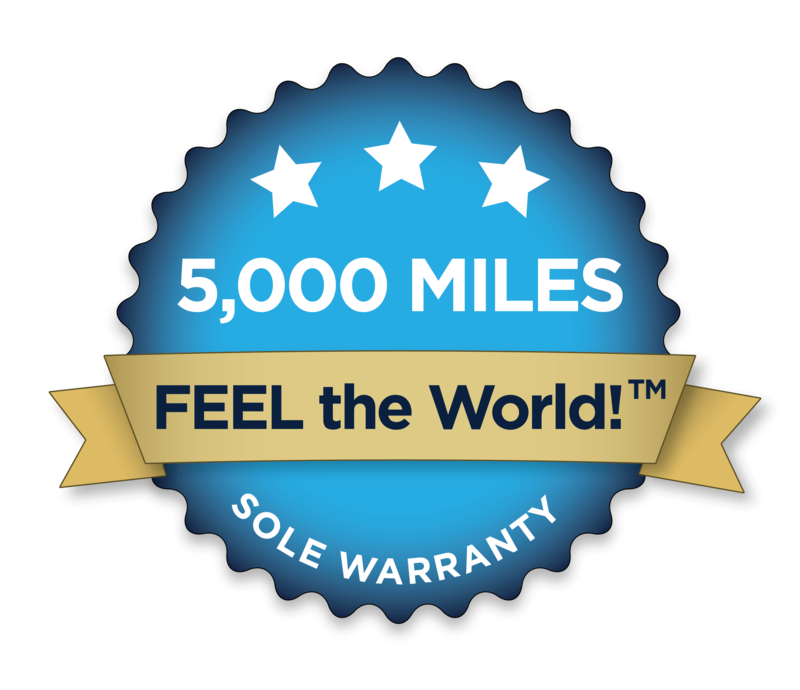 And the good news about the “stick your feet in water solution” is that our Xero Shoes FeelTrue® soles are made so that they’re won’t be damaged from saltwater or from chlorine. So jump in the ocean, jump in a pool, wash off your feet, and go back to having fun. As we always say about Xero Shoes… we want you to Feel The Freedom. Feel the Fun. Feel the World!